July 26, 2013 - No Comments! 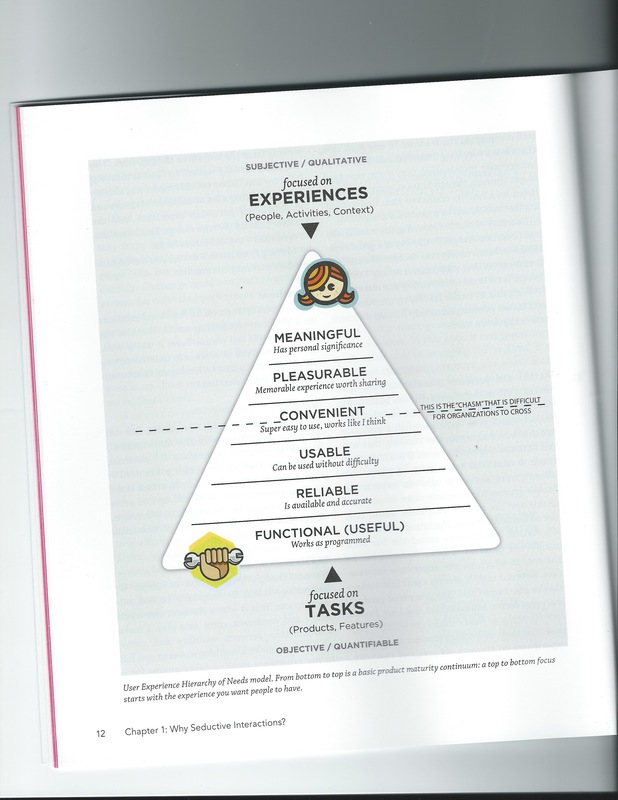 Extract from the book 'Seductive interaction design' by Stephen P. Anderson, talking about the needs of a user when using a product. An interesting method they talk about is to work from the top down instead of the tradition bottom up approach, making something meaningful and aesthetically pleasing before focusing on the functionality aspect, which is of course equally important.